Description: One night when Liza went to bed, Patrick was her chubby, stubby, candy-grubbing and pancake-loving younger brother, who irritated and amused her both, and the next morning, when she woke up, he was not. In fact, he was quite, quite different. When Liza''s brother, Patrick, changes overnight, Liza knows exactly what has happened: The spindlers have gotten to him and stolen his soul. To rescue Patrick, Liza must go Below, armed with little more than her wits and a broom. There, she uncovers a vast world populated with talking rats, music-loving moles, greedy troglods, and overexcitable nids . . . as well as terrible dangers. 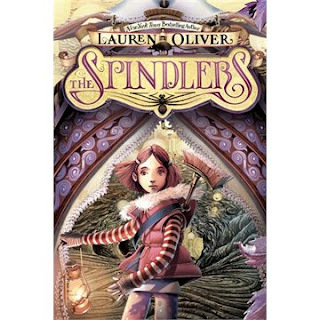 But she will face her greatest challenge at the spindlers'' nests, where she encounters the evil queen and must pass a series of deadly tests-or else her soul, too, will remain Below forever.